Comedians, actors, MCs required for regular paid gigs. 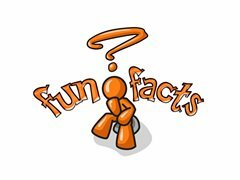 Fun Facts Trivia is Sydney based and now expanding with new venues in Melbourne and Canberra. We are currently looking in all three cities for talented hosts who can add the right blend of personality and humour to our multimedia quiz nights. The vast majority of venues operate weekly, and you will very quickly forge relationships with both regular patrons and staff. Before long you’ll feel like you’re getting paid just to turn up and have fun! There is also the opportunity to pick up additional work hosting corporate functions, fundraisers, etc. *You will need to be confident on a microphone and be able to entertain a crowd. *Obviously, literacy is important. You'll need good reading skills and a clear speaking voice. *We need committed people. Audiences and venues alike want to see the same face every week. *You will need an internet connection and access to a printer. *Equipment requirements may vary depending on the venue. At the minimum you will need a laptop or DVD player. *Payment can vary, but is usually $150 minimum for approx. two hour gig. You will need to have an ABN. We currently have opportunities in Sydney, Melbourne and Canberra for entertaining personalities who are comfortable in front of a crowd and like to get paid to have fun. If that sounds like you, we're keen to hear from you.